Delve into America’s captivating past with this eight-day escorted tour through some of the USAs most significant and famous locations from history. 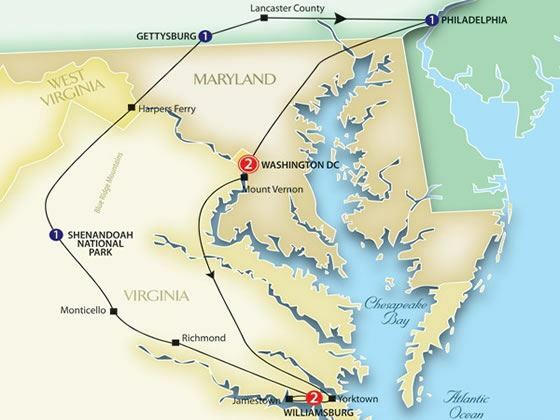 Beginning in Washington, D.C., you’ll journey to Mount Vernon, Williamsburg, Jamestown, Charlottesville, Gettysburg and Philadelphia, witnessing incredible scenery, impressive landmarks and notable points of interest along the way. 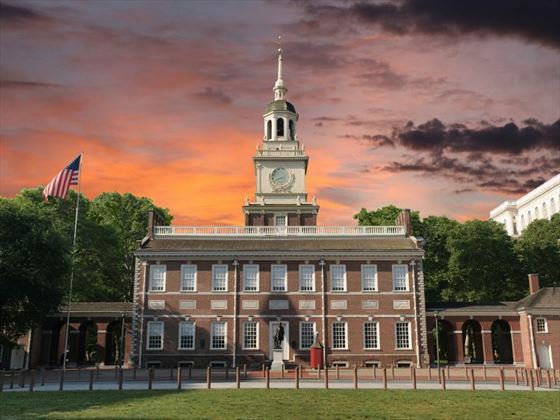 You’ll learn about the importance sites of the Civil War, visit the Liberty Bell and Independence Hall and take a step back in time to the lives of early colonists. This exciting and fascinating trip explores the important settings for some of America’s most notable points in history for a tour that will enthral and inspire. 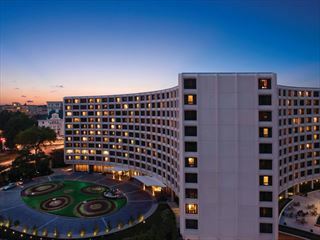 Arrive into Washington, D.C. and check-in to your hotel. The rest of the day can be spent at leisure, exploring the city and getting settled in. 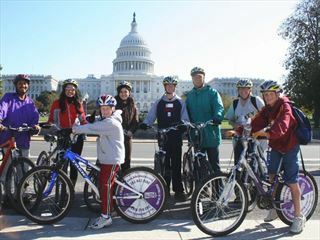 At 6pm you will gather at the hotel with the rest of your group for a welcome reception to meet with your tour guide. Today gives you chance to immerse yourself in the history and culture of this great city with a trip to view the White House, the Washington Monument and the National Mall which stretches from the Lincoln Memorial to the Capitol Building. Take a trip to the World War II memorial then enjoy some free time in the afternoon to explore at leisure. 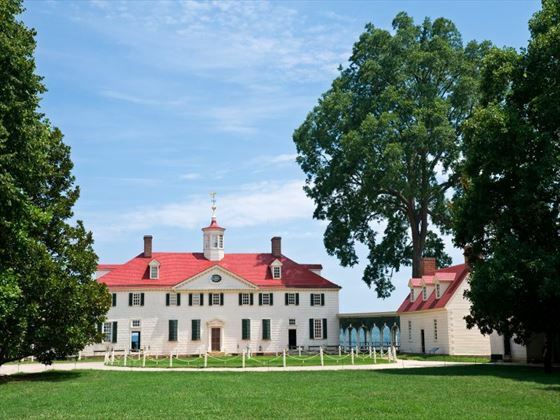 Travel to the home of the nation’s first president, George Washington, on the banks of the Potomac River in Mount Vernon then visit the Yorktown Victory Centre and watch Revolutionary War history come to life. Learn more about America’s past upon arrival into Williamsburg then in the evening, head to a local tavern for a meal with your group. Jamestown was established by Captain John Smith, back before the Pilgrims landed at Plymouth Rock, and it was the first permanent English settlement in the New World. Accompanied by a guide, you’ll learn what life was like for early colonists here in 1607, with the chance to walk through life-size recreations of the forts and villages if this time. 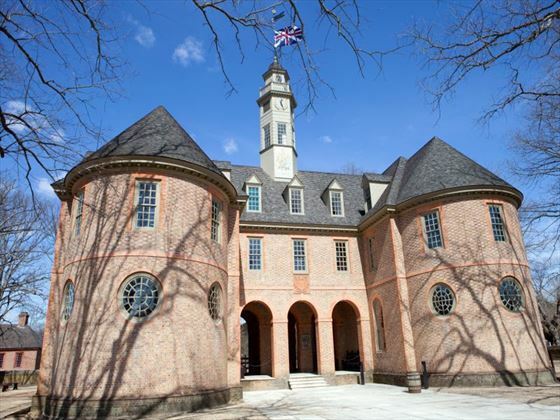 Moving forward to the 18th century to spend the rest of the day in Colonial Williamsburg, you’ll be able to chat with blacksmiths and watch a drum and fife parade. In the afternoon there will be a fascinating cultural presentation by Sylvia Tabb-Lee. This morning, visit St. John’s church where George Washington and Thomas Jefferson where inspired by Patrick Henry’s ‘give me liberty or give me death’ speech. Afterwards, explore Monticello (which translates as ‘little mountain’) which was Jefferson’s neoclassical Italian estate set atop a hill. Continue on to Charlottesville where you have the opportunity to explore the city at leisure. 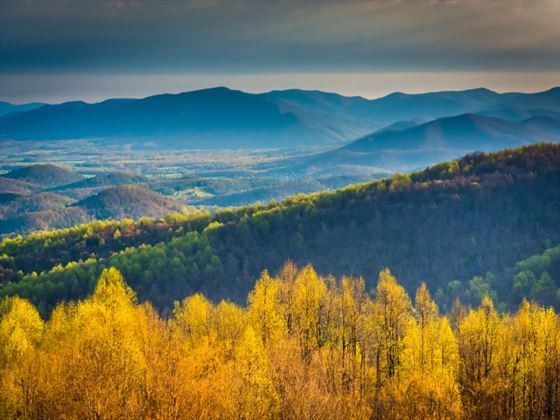 Depart from Charlottesville and travel through Shenandoah National Park en-route to Gettysburg where you can immerse yourself in the history of the U.S. Civil War. Visit the Gettysburg National Military Park Museum and Visitor Centre, home to the Battle of Gettysburg Cyclorama painting. Enjoy a regional meal at the "most haunted" 19th century Dobbins House. Join a local specialist this morning at the site of one of the Civil War’s most pivotal battles to learn more about one of the most significant moments in US history. Take a short drive to the peaceful ambiance of Lancaster’s traditional Amish agricultural community, before arriving in Philadelphia to witness the site of the signing of the Declaration of Independence. In the evening, you’ll be treated to a farewell dinner with your tour guide and fellow history enthusiasts. Take a walk in the footsteps of Benjamin Franklin in one of the most historic cities in America with a visit to the National Constitution Centre and Independence National Historic Park, home of the Liberty Bell and Independence Hall. Then return to Washington, D.C. for your transfer to the airport for your departing flight. Located on fashionable upper Connecticut Avenue, the hotel sits just minutes from Georgetown, Adams-Morgan, Embassy Row and the Zoo. This hotel has comfortable guest rooms and good facilities, including a pool and fitness room, plus a couple of options for eating and drinking.